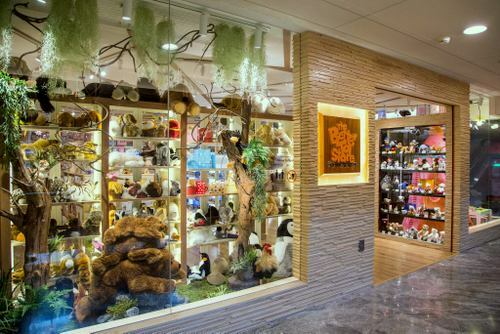 The Better Toy Store has three locations in Singapore, one of which is within Paragon shopping centre (290 Orchard Road). Visiting The Better Toy Store, you’ll discover a selection of award-winning toys carefully selected for excellence in play value, design, quality and impact on environment. A lot of the toys at The Better Toy Store are not only age-appropriate but also open-ended, allowing a different facet of play as the child grows and changes in ability and interest. The toy store’s toys are also safe – both for the child and the environment, with many of them exceeding the recommended stringent safety standards, and conform to the European EN71 and the US ASTM standards of safety. Natural materials like wood and cotton are also some of the preferred resources for the toys, with paints and finishes that are only non-toxic, water-based, and sweat- and saliva-resistant. Among the categories of toys you can purchase from are Baby & Toddler, Early Learning Aids, Blocks & Construction, Games & Puzzles, Play Figurines, Pretend Play, Dolls, Music, Classic Novelty, Ride-Ons, Active Play, Water Play, as well as Science Fun. In terms of toy brands, you can find toys from manufacturers such as DJECO, Hubelino, Plantoys, Aquaplay, Big Spielwarenfabrik, Haba, Headu, Heimess, Papo, , Pustefix, Ses Creative, and Wheelybug. The official The Better Toy Store Facebook brand page is located at www.facebook.com/TheBetterToyStore/. You can also follow the company’s official Instagram account, which in turn is available at www.instagram.com/TheBetterToyStore/.